One of a kind Waterfront Retro Mid Century Style A Frame. 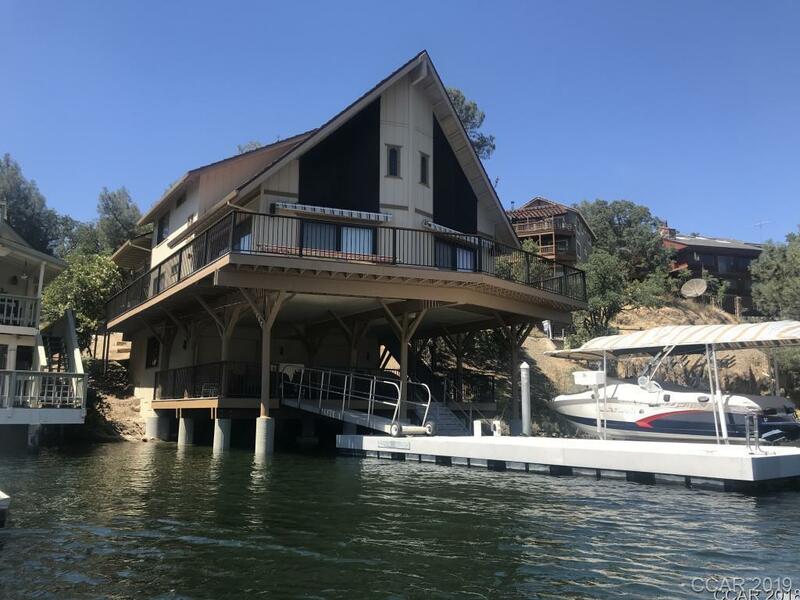 Located on prime water in Lake Tulloch Shores. 3 bd/3 bth 2,400 sf. All New extensive decking, railing, and pilings. Electric awnings for sun protection. Dual Zoned A/C. Gourmet Kitchen with custom backsplash & cabinetry. Double oven w/ warming drawer, electric cooktop range, Sub Zero Refrigerator with two freezer drawers. Two garbage disposals, trash compactor, water purifier, copper freestanding table / island extension. Cork flooring & Custom carpet. Custom wet bar w/ custom cabinet. 2 story windows highlight lake views from the Great Room. Master bedroom with mirrored closets with private balcony. Master bathroom features dual sinks and stone shower/tub combo. Expansive covered patio at the waters edge. Large Dock w/swim ladder. Directions: O'byrnes Ferry Rd, Turn Into Lake Tulloch Shores. Follow Thomson Lane To 508, Home Is On The Right Hand Side. Inclusions: Refrigerator, Washer & Dryer516 Thomson Lot Is A Great Value And Part Of This Purchase. Separate Apn 064-035-002. May Need Escrow For Lot And House. Great Buffer Zone For Added Privacy And Space.